Patients have often heard about the importance of alignment but they don’t really understand why it’s important. They’ve often heard chiros talking about alignment and they want to be well aligned but they don’t know how to achieve it – or even more difficult – how to maintain it. A sprained ankle that was difficult to walk on at the time of injury caused someone to shift their upper body to help take pressure off their sore ankle. In doing this, the alignment in the rib cage changed because the way they were moving and walking changed. It didn’t improve when the pain in the ankle went away because they didn’t get the ankle treated and so it’s a bit stiff now and it is reluctant to take its share of your body weight back. This often leads to back pain and hip problems because of the changes that occur to the way you distribute your weight and the way you use your muscles. Someone sat for long periods every day with poor posture. Over time they got tighter and tighter in the chest and stomach muscles. They started developing a bit of an ache between the shoulder blades and then one day their shoulder was really sore. They went to see their GP and had some imaging done and despite having no significant injury history it turns out they have a tear in their rotator cuff muscles. This happened because the tightness in the chest restricted the collar bone from rotating properly when they moved their arm and, therefore, shunted the load elsewhere and it was the rotator cuff muscles that suffered. Pregnancy and carrying a child around after giving birth changed a womans posture. Long periods of carrying and feeding her baby made her tight in her shoulder muscles which pulled her ribs out of alignment. The nerves that supply the stomach muscles come out of the lower part of this rib cage and because the alignment of the rib cage was disturbed the nerve messages don’t travel to her stomach as effectively. This can make it hard for her to activate her core at all, difficult to get her stomach separation to heal, and even harder to get rid of the ‘mummy tummy’. There are LOTS of other scenarios that we see very regularly that lead to people being in pain or no longer being able to use their body the way they want to. Your body will tolerate some of these scenarios for a while. It will even make some other changes to your alignment to help you continue on pain free for longer. Eventually, your body can’t make any more compensations, or it can’t tolerate the extra load on the joints/muscles and so you start feeling pain. Problems with your alignment have really significant effects on the way your muscles work. It can mean that some muscles struggle to switch on and some struggle to switch off. It can make it almost impossible for you to sit up straight no matter how hard you try. These soon become patterns that your body uses to move and before you know it you’re stuck in that alignment. Hands on (manual) therapy can help improve your alignment, reduce the stiffness in joints and reduce the pain and inflammation. This is an important part of recovery. The most important thing that manual therapy does is it removes the physical barrier to you achieving optimal movement. In other words, it improves your alignment so you’re able to move better. Once you improve your alignment or turn off an overactive muscle you need to be able to maintain that change otherwise you’ll find those muscles just pull you back out of alignment again. This is the part where you need to retrain the way you move and retain your muscles. Often the strategies that people are using when they have pain or dysfunction are inefficient. The difficulty is that if you don’t change your strategy you will likely find that you feel better after treatment for a few days but then you start feeling symptoms again. If you’re using the wrong muscles to do an activity it’s a little bit like setting your GPS to take you from Pymble to Chatswood and it taking you via Blacktown. Life would be a lot easier if the GPS map took you directly to Chatswood. This is where we use Pilates. We use classes where every patient works on their own individualised programme to teach you and supervise you as you retrain the way you move. 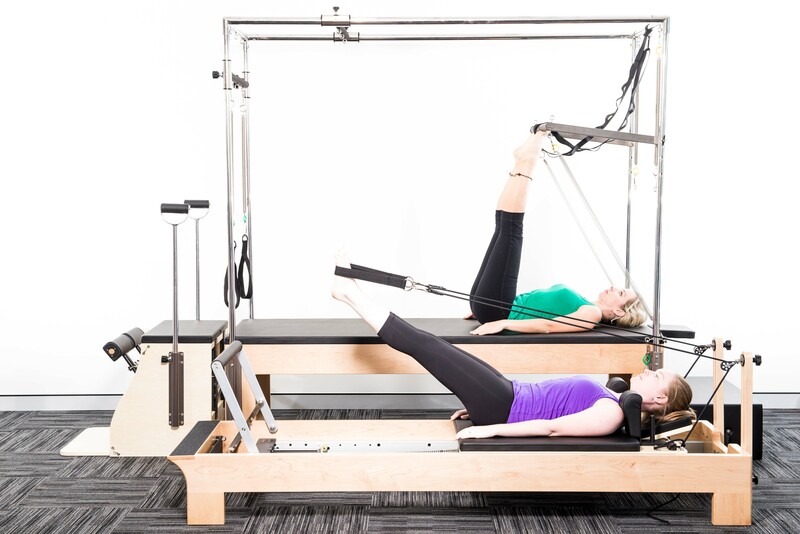 Obviously, we understand that not everyone is interested in Pilates and that sometimes, for whatever reason, you just can’t take the time needed to do the exercises that will help you maintain your alignment. What you need to understand is that if you don’t retrain the way you move there is a good chance that the issue will return at some point. Using manual therapy with the physio, where they help release the tight muscles and stiff joints and line you back up, will help. Keeping pain at bay may require semi-regular treatments to just stop things from getting worse and impinging on your life. Clunking you back into alignment rarely provides more than a few days relief because the tight muscles that were pulling you out of alignment have not been released and so they pull you back out almost immediately. This is why we don’t use ‘adjustments’ or ‘manipulations’ in our clinic. To get pain relief the muscles MUST be addressed. It is important to remember that pain is the LAST symptom. Pain is the part where your body starts screaming at you because it can’t put up with the situation anymore. It is often also the first symptom to go away. But pain going away doesn’t mean the problem is solved. It simply means the situation has calmed down – which is great! What we’re simply trying to highlight is that if you’ve had your issue for a while it is highly likely that to really get rid of it, or to recover as much as is possible, you’re going to have to put in some work to retrain the way you use your muscles.